Sunday I had the day at home alone; I spent the time preparing for my trip to see my wonderful sister in NW Florida for the whole week! I’m so excited to see her, and I’ll try to take some really good pictures to share with you guys, especially of the beautiful, and as yet unspoiled, beaches. Stay away, oil! As I was home for the day, I decided to make a big banana pudding for my guys to eat when they returned home from work. I don’t like to use packaged pudding, so I usually make my boiled custard recipe; it was taught to me by my mother-in-law, Susan. It’s really delicious, but a little heavy for banana pudding, in my opinion, and is better suited to just eating with a little drizzle of caramel syrup on top. We do that fairly often around here. In a heavy saucepan over medium heat, combine the sugar, cornstarch, egg, evaporated milk and regular milk. Mix together well and stir continuously until thickened. You must avoid letting the pudding scorch on the bottom of the pan. Remove from heat, add vanilla and mix well. 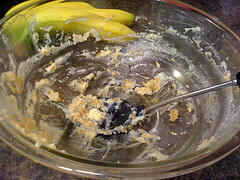 In a large bowl arrange a layer of cookies, then a layer of bananas. Pour half of pudding over the cookies and bananas, and repeat. Top the layer of pudding with a scattering of vanilla wafers. 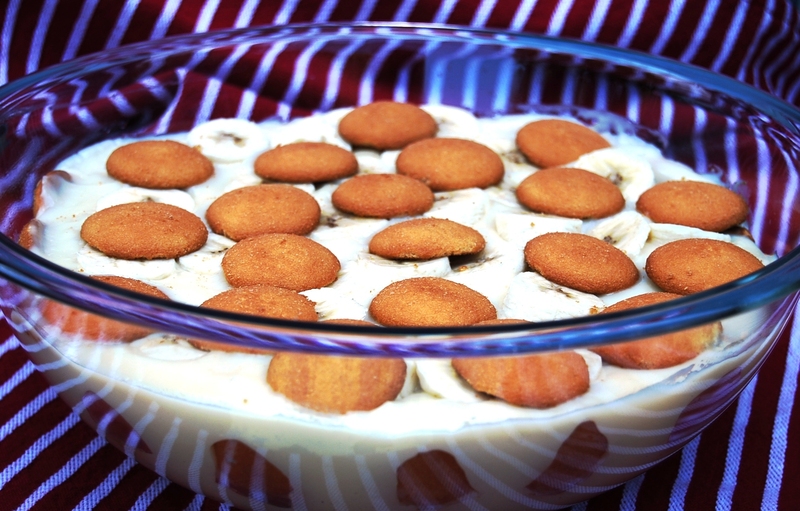 I think banana pudding seems to be a Southern thing, but I do enjoy banana creme pie. Loving the pound cake recipe.